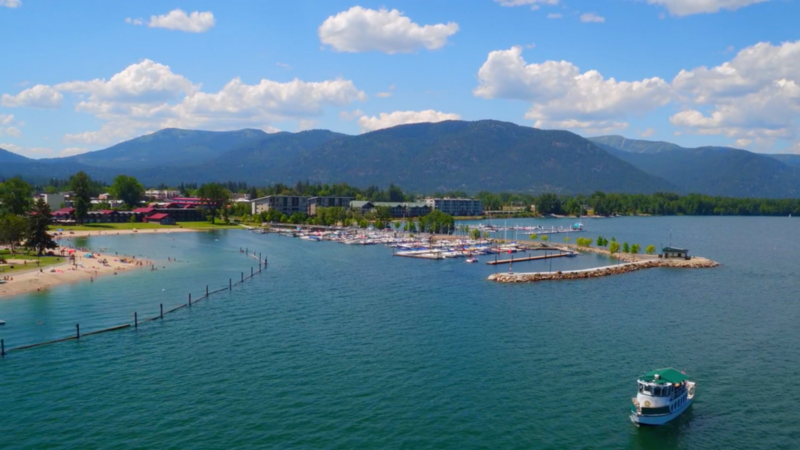 Sandpoint, Idaho – The Idaho Club, one of the most picturesque semi-private golf and lakefront communities in America, is back in business after undergoing several years of financial distress. 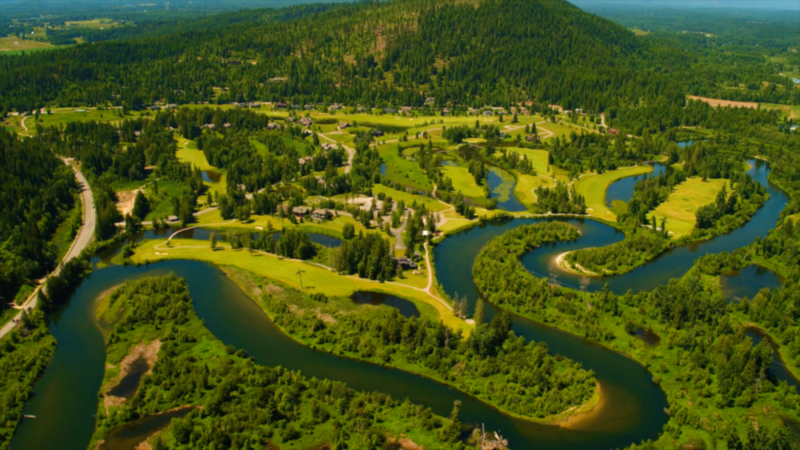 Situated in the small northwestern town of Sandpoint in the Idaho Panhandle, the Idaho Club reopened for the golf season when the Jack Nicklaus Signature Course played host to the Sandpoint High School Invitational May 1. A week later, the development’s new ownership, Valiant Idaho LLC, officially relaunched the community’s real estate sales in partnership with Tomlinson Sotheby’s International Realty and Idaho Pinnacle Properties. Rich Curtis of Sotheby’s International and Alex Murray of Idaho Pinnacle Properties, introduced during a public May 8 media event with longtime Idaho Club supporters and prospective members and residents, are leading the new sales marketing efforts. The community offers a variety of real estate options for sale, including low-maintenance golf course homesites to grand estate lots on the peaks of Moose Mountain overlooking Lake Pend Oreille. Overall, the Idaho Club will be a low-density development of some 350 luxury lodge homes ranging in size from 2,800 square feet with golf and lake water views to 5,000-square-foot estate homes that offer sweeping mountain, golf and water views. One of the main reasons Valiant Idaho LLC Principal William Haberman was drawn to the distressed asset several years ago is the community’s “perfect trifecta” of outdoor amenities and natural beauty. For instance, Haberman, an Orlando-based real estate developer and investor, notes residents and guests can play the state’s only Nicklaus-designed championship course, enjoy pristine Lake Pend Oreille, one of the deepest and longest lakes in America, and visit the nearby nationally-acclaimed ski resort at Schweitzer Mou ntain. In conjunction with the relaunch of property sales, the Idaho Club also released architectural renderings of what will be the new “modern mountain” clubhouse and a future lake club. As the prior clubhouse was destroyed by a fire in 2008, Valiant Idaho plans to rebuild in the same footprint and on the same foundation. Haberman said the new clubhouse represents a “significant development, not just for current and future property owners at The Idaho Club, but for the greater Sandpoint community.” After opening its Nicklaus course in October 2008, the Idaho Club’s previous owners fell on hard times during the ensuing real estate crash and financial crisis of 2008-09. The Idaho Club is surrounded by picturesque sub-ranges of the Rocky Mountains along the shores of Lake Pend Oreille – Idaho’s largest and deepest lake. For modern conveniences, the Idaho Club is just minutes from the quaint Western town of Sandpoint, recently rated one of the ‘Top Ten small towns in the Western U.S.” by Sunset Magazine. The Idaho Club is located just 45 minutes north of well-known Coeur d’Alene and 90 minutes from Spokane, Wash., perfectly positioned at the base of Schweitzer Mountain. With the rare mountain to lake setting and relative land values compared to similar luxury golf club communities in the Coeur d’Alene area, the Idaho Club is truly one of the most attractive and compelling destinations in the Pacific Northwest.